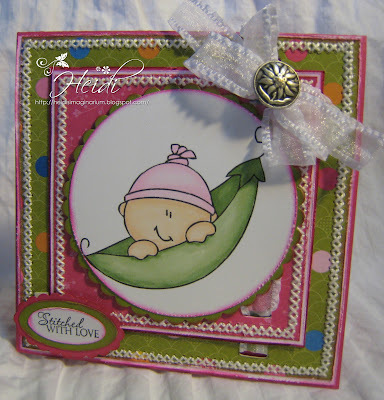 This weeks ABC challenge is being sponsored by Stamp Fairy. Be sure to check out the store because there are so many cute whimsy digistamps for all sorts of projects! 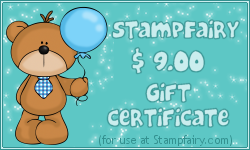 The winner will received a $9.00 Gift Certificate to use at Stampfairy.com! This weeks Challenge: Q is for Quilting or sewing. Thanks for looking! I love reading your comments. Is this handstitched Heidi? However you did it, it's just perfect and suits the little image perfectly.